I think I’m getting a little better at drawing cityscapes. It’s hard. 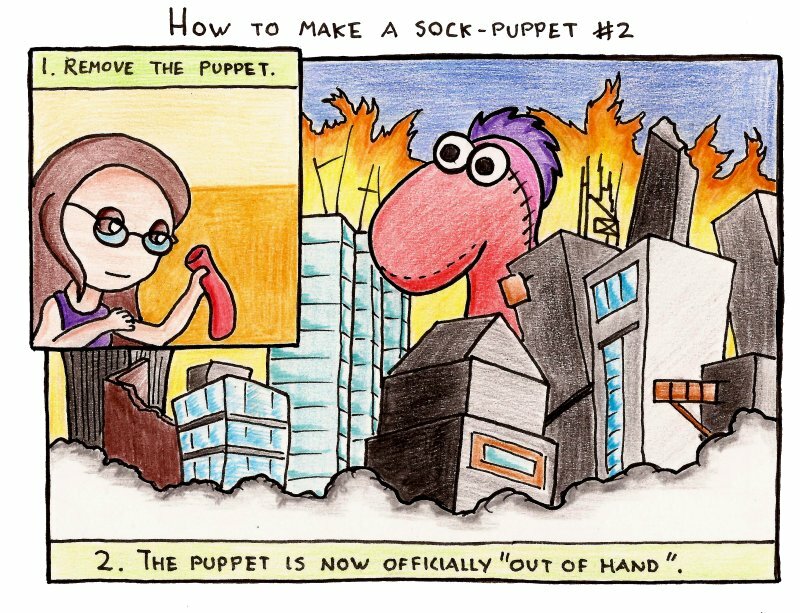 After my first comic explaining how to make a sock puppet I have actually received two complaints. The first complaint was that the reader did not wish to come to my website to find sock puppets, but that they were interested in socks and puppets separately. I can’t really do much about that, but there are plenty of individual socks and individual puppets scattered around for those willing to look! The second complaint simply wished that I’d gone a little further with what was possible in making sock puppets – that my instructions were too basic, and they wanted to see a more advanced form.